Every year mid Dec to mid January and mid June to mid August we are closed for regular business, this is a time for us in the foreign staff to have our holidays and to go see our families abroad. This means there is a fully equipped camp with space for up to 25 people just gaping empty. We now offer groups of 10-25 people to come and stay and enjoy our little piece of paradise, accommodation, food and staff included.Surfing can of course be added to the deal! - Fully equipped kitchen with kitchen staff. - A lounge for evening hangs outs equipped with movie projector and tons of movies and books. - A yoga shala perfect for physical activities, yoga classes can be arranged for an additional cost. - A skate bowl, skate equipment can be borrowed for a deposit. 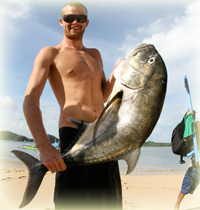 - Surf guides/surf coaches/surfboards can be arranged upon request to an additional cost. Photos below taken during Christmas & New years 2015 when three families of a total of 14 people stayed at the camp. Thank you to the Karlsson family for sharing your photos.